H.L. 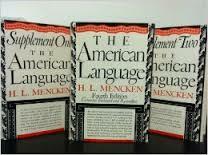 Mencken‘s famous 1945 book on “The American Language” (Supplement 1) gets into the subject of Chinook Jargon’s influence on our English, on pages 310-311. That cayuse came into American from the Chinook Jargon is not certain, though there is a Chinook word, kiuatan, signifying a horse: both Webster 1934 and the DAE prefer to find its origin in the name of a tribe of Oregon Indians. The DAE’s first example is from the Oregon Weekly Times of 1857, which used it in connection with a genuine Chinook word, cultus, meaning inferior. There is a strong tendency to ascribe all otherwise unidentified Indian loans to Chinook, but the actual borrowings of the pioneers seem to have been relatively few. Among them are potlatch, a gift, or, by extension, a party marked by lavish hospitality and gift-giving, traced by the DAE to c. 1861; skookum, large or powerful, traced to 1844; and siwash, a generic term for Indian, borrowed by the Chinook from the French sauvage, and first recorded in American use in 1852. Efforts have been made to derive hooch from the Chinook, but without much success. It apparently comes, in fact, from hoochino (or hoocheno), a name of unknown origin originally applied to a crude fire-water made by the Indians of Alaska. On the advent of Prohibition this hoochino began to appear in the Northwestern coast towns, and soon its name was shortened to hooch, which quickly penetrated to all parts of the country. Hike has been ascribed to the Chinook [page 311] hyak, to hurry, but in that sense it did not come into common American use until after Chinook influence had died out. The Jargon is still spoken more or less by ancients in the Oregon country, both white and Indian, and a number of its terms, unknown elsewhere save in fiction, are familiar locally, e.g., klootchman, a woman; wawa, talk; muckamuck, food; tenas, small; hyas, big; cheechako, a stranger; keekwilly, a house, and kla-how-ya?, how are you? Mencken thanks William E. Ricker of Vancouver BC for this last list, which helps explain the inclusion of keekwilly as a word for “house”. That word is a typically BC English usage for the traditional Native “pit house”. 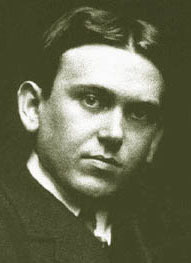 Mencken’s noting of linguistic urban legends in connection with Chinook Jargon is spot on. It’s remarkable how many of these myths are still in currency. We know for sure that hooch is from a Tlingit town name, with no special connection to Chinuk Wawa known although one is often claimed. Cayuse is routinely called a Jargon word, but the case for that is pretty slim, again beyond this tribal name having been used by some folks when talking CJ. (They used it, in the identical pronunciation, when talking English too, you see.) A Chinook origin for hike is new to me and as entertainingly flimsy as the tale that kla-how-ya came from “Clark, how are you?” or “L’chaim”. The writer’s sharp-eyed observation about “Chinook” being a catch-all folk etymological category continues to ring true decades after his book was published. Just think of the recent claims that the housing development name, Tehaleh, is a CJ word…nope!